America might be the global king of excessive consumption, but Canada's Boston Pizza is putting up a good fight with its Pizza Game Changers. Basically, it's a crowdsourced voting campaign that pledges, "if you like it, we'll make it,” which is dangerous phrasing among pizza enthusiasts. So far, the chain has made pizza tacos, pizza mints (which sound disgusting) and a gas-powered pizza cutter (which sounds awesome). 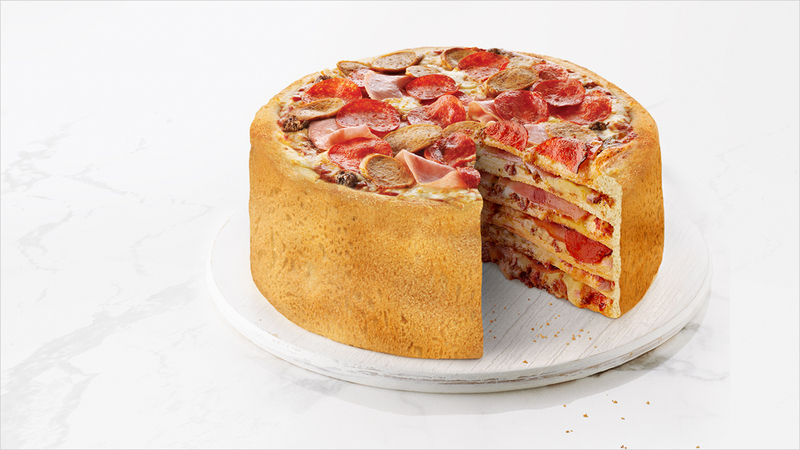 They've also gotten some press for their six-layer pizza cake, though that's arguably little more than a doubly thick Chicago-style deep dish. Still, we should encourage Boston Pizza's overall flair for inventiveness, unless these game changers start combining pizza with poutine or Marmite. Some international boundaries are best left uncrossed.